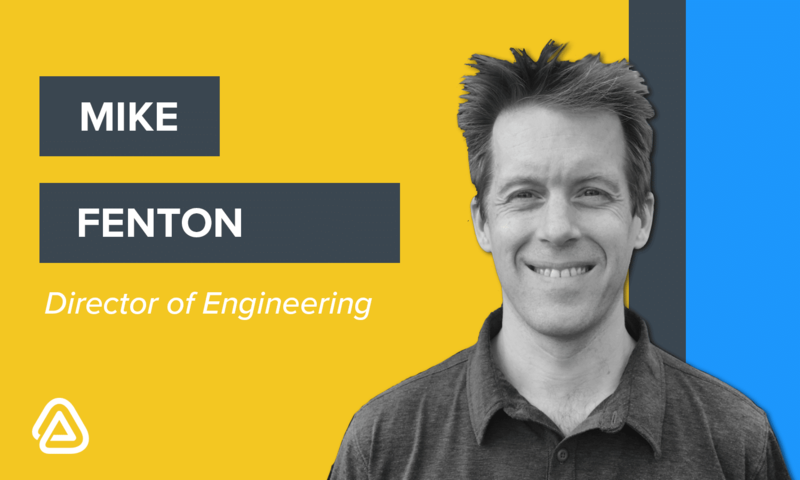 Mike Fenton may lead engineers in four time zones but as the Director of Engineering at Apptimize, he is on top of what his team is working on. He’s led distributed and remote teams for the past 9 years and credits that work flexibility in the company’s ability to hire the best talent. When he’s not solving problems for our customers, Mike is keeping up with his three daughters and teaches Karate in his own Dojo. We caught up with Mike to ask him what he enjoys about being an Apptimizer, how he promotes growth among his team and how the Apptimize engineering team stays connected. What do you enjoy about working at Apptimize? There are two things that really stand out about Apptimize that makes it a great place to work. The first is the people, we have an incredible team of highly skilled engineers. Each and every member of the team is smart, capable and even more importantly, always willing to jump into any hard problem and figure out a solution. It doesn’t matter if it’s their task or a team members, full dedication extends in all directions. The second is that we are challenged every day. Our problems to solve are very complex, and being a small team, only optimal efficient solutions are acceptable. Deep, thought provoking discussions are common and frequently improves everyone’s knowledge on the path to developing unique solutions. These solutions empower Apptimize to provide the best possible experimentation platform for our customers. Having a great team and interesting problems to solve is what every good engineer is looking for, so I feel lucky to have it at Apptimize. Among the projects you’re currently working on, which do you find most exciting? We have a lot of interesting and exciting projects under way, but the one I find most engaging right now is our Cross Platform initiative. From an engineering point of view, the solution we are implementing is entirely new allowing us to learn a great deal. Instead of seeing the device as an isolated silo of the users interaction, we had to shift our thinking to view all user, on all platforms as a whole. This combination of platforms and unification of data created many deep discussions during planning meetings. Additionally, it’s exciting to see the options we are creating for our customers to unite data from all their sources enabling them to make intelligent decisions. The user and their interactions across server, web and on mobile platforms is viewed holistically and combined to understand the true effect of their experiments. How do you promote growth in your engineering team? Growth is an extremely important part of supporting the engineering team, and it is actually a primary company value. All members of the team are actively encouraged to continue growing, learning and improving themselves. The team strives to share knowledge whenever possible through brown bag sessions over lunch, one on one meetings and during standups. Our engineers are encouraged to attend tech conferences and frequently hold sessions to share what they learned with the rest of the team. Our company also has a regular book club which meets and discusses books of interest. Learning truly is a core value. As a company with a very large, ever growing, technical stack, there are lots of opportunities for engineers to try new things. By creating opportunities to work in new code areas and actively learning new things the team remains highly engaged and challenged. Career growth is also very important to me. Everyone is welcome to join in technical and planning messages, and when appropriate lead initiatives of various sizes for the company. Having a culture of growth and learning is extremely important to leading a success engineering team. This combined with providing honest and supportive feedback allows engineers to both grow in their careers and feeling engaged and excited to contribute each day. What are the benefits of working with a distributed engineering team and how do you stay connected? As a distributed team, we’ve been able to hire the best people to join our team regardless of their location. Frequently this allows people to work their optimal hours in their optimal environment, making them much more productive. Some people prefer to work distraction free in a quiet environment, some enjoy loud music. Whatever their preference they can configure their office and habits to suit them without worrying about disturbing anyone else. Our liberal use of tools like Slack, Hangouts, and shared documents allow us to stay in constant contact and collaboration with our teams. Continual, high quality communication is our superpower as a team. It’s our critical connection to each other. Everyone on our team is diligent about staying in touch and making sure their teammates know what they are working on, and are ready to provide support for each other. I’ve heard you’ve written a book on Karate. Tell us about it. Yes, along with Trevor Warren, I wrote the book Essential Isshinryu. The book itself started as a manual for my own students and over many years of historical research turned into a very well received book around the world. 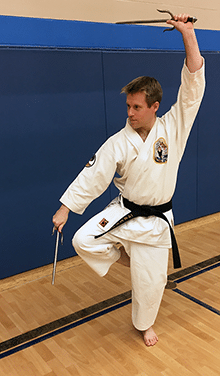 As a long time Martial Artist, I study Isshinryu Karate and Kobudo having had the lucky opportunity to train with some of the most respected Masters in the world, and recently having been promoted to Rokudan (6th Degree Black Belt). Training in traditional Karate is an excellent way to push myself to continue growing. Whether it’s physically through bare knuckle full contact fighting, studying the traditional Okinawan weapons like the Bo, Sai and Tonfa, studying physiology and body mechanics to better apply empty hand techniques or teaching my many dedicated students in my Dojo, I’m constantly improving, learning and pushing myself. In addition to the book and training in my own Dojo, I actively help to connect other Martial Artists together through a regular worldwide Isshinryu newsletter featuring articles written by myself, my students and many other contributors, running www.isshinryu.ca, and regularly teaching seminars at international martial arts events. How would you describe Apptimize in three words? What is the app you can’t live without? Slack, Staying in touch and being available to the team is critical.